I’m “settling in” with Fedora 10 as my main distro, and learning how to operate in this “non-Debian” environment. As I mentioned previously, Yumex has been a big help. Another application I wish I had found sooner is “Autoten,” which will automatically install things like Google Earth, multimedia codecs, Nvidia drivers, etc. That would have saved me a bunch of time and frustration. I do appreciate having a distro that includes KDE 4.1 in the repositories, which is my only dissatisfaction with Mepis 8. It seems to me that the bulk of development effort in KDE apps these days is in the KDE 4 direction, and I am glad to have made the switch. edit: be sure to read Paul’s comment! His way is easier. Thanks Paul! After having recently moved all my mail to Thunderbird from Kmail, I was dismayed to discover that Thunderbird will not “minimize to tray,” meaning that I would get no new mail notifications and no “Lightning” calendar reminders without TB being open on the desktop or minimized to the taskbar. A little Googling provided the following answer. Click the save button on the KDE Menu Editor and close it. Start Thunderbird and follow the instructions that Alltray provides. Thanks to Techthrob fo r this tip! I have decided to quit Kmail and give Thunderbird a try. I’ve been wanting to do this for ages, but the process for moving mail from Kmail to Thunderbird is rather formidable. I will attempt to document my “method,” much of which I owe to the above linked blogger, TiJaJoMa, and the rest to the creator of the below linked import addon for Thunderbird. 1 ) I installed this add-on for Thunderbird… thanks, Kaosmos! (Click the download link at the bottom of the page, then in Thunderbird you’ll have to click “Tools -> Add-ons -> Install” and then navigate to the .xpi file… on mine it landed on the desktop). For a folder named Family, I created a new folder named FamilyM or FamilyMbox or whatever. Make sure when you are creating the folder that you select the mbox format! move all the mail from my original folder to the new one. 3 ) After all the folders were converted to mbox format I chose to leave them with the temporary name (e.g. FamilyM), so as to make them easy to identify in the next step. 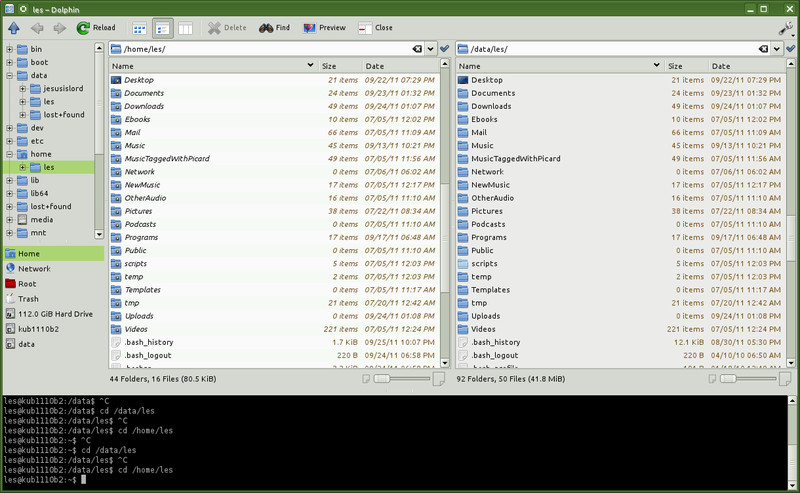 5 ) Using the Konqueror file manager to navigate to /home/les/.kde/share/apps/kmail/mail, I copied all the “.Whatever.directory” folders into the new TempMail directory on the desktop. 6 ) In the new TempMail directory, I deleted the “.” from the beginning of each of these folder names, so they would be visible to the importer script. 10 ) I then was asked “Do you want to import the file /home/les/Desktop/TempMail/Whatever? I clicked “Yes!” and guess what? It worked! 11) Finally it was time to rename all the new Thunderbird folders, because the importer script adds a random 3 digit number to the folder name, to avoid the possibility of overwriting an existing mail folder. Whew! I know this is going to be automated someday! I hope this helps someone. Let me know if it needs clarification.